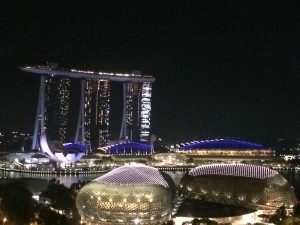 Singapore on arrival is immediately an amazing place. As you fly in across the straits and see the city skyline and the unmistakeable shape of the Marina Bays Sands complex, you momentarily believe in time-travel. It’s humid and airless here but smells amazing. Everywhere it’s the past and the future at the same time. I know I’m jet-lagged, but even so. It is an assault on the senses. Except aurally. There are barely any car horns, and I’ve only heard one siren. So I guess people are pretty tranquil when they’re driving around. And no one gets ill? 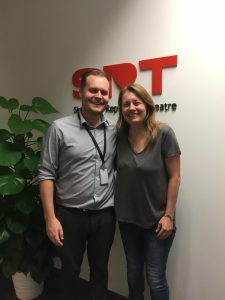 My contact is Paul Adams, Singapore Repertory Theatre’s Learning and Engagement Manager. 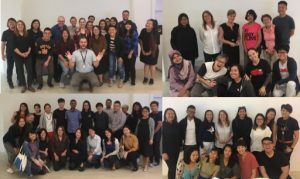 It’s Paul’s passion and drive to move towards greater access and inclusion across not only SRT but Singapore itself, not least through the development of the Access Art Hub, that has made this week happen. He has been brilliant and welcoming, making it feel as normal as possible for me from the get-go. I don’t know if it’s that he too grew up in the North and he’s brought my Northern twang out in this most far-from Yorkshire place, but it all feels very familiar and well, normal. I’ve been away from the day-to-day theatre experience for almost two years now. But I guess having clocked up so many years in that environment returning to it is like returning to my Yorkshire accent – it’s always in you, it just needs to be unlocked. So, four days of workshops delivering everyday Access solutions in the form of the Accessibility in Mind workshop. Day one brought sixteen people, half of whom, we collectively joked, all seemed to be from the National Gallery of Singapore! But in fact we also had folks from the National Arts Council, Theatre Practice, Gateway, Access Path, Theatreworks and the Storytelling Centre Ltd as well as an independent freelancer. What a great start to the week! A smiley band of fellow Access practitioners striving to seek ways to improve their accessibility and service provision to better serve their disabled customers. It’s a full-on day. I’ve crammed at least two days’ worth of training into a slender seven hours which becomes less than six when you have to be fed and watered too. There’s a lot of content: well, it’s 23 years’ worth of Access Officer experiences, learning and base-line ‘just do this’ tips. So that was encouraging, that despite the tiredness at the end of a long day the passion remained. And the following three days unrolled in the same vein. 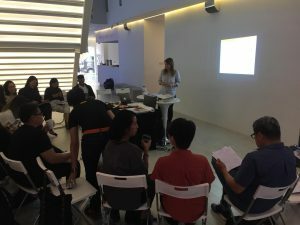 Day two brought 19 participants with representatives from VSA, the Arts Science museum, Story Connection, Wild Rice, Kino Kino and independents again. 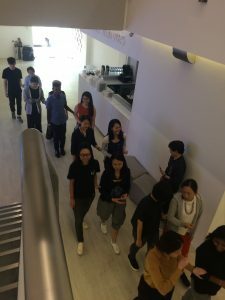 The biggest turnout was on day three, when 21 participants arrived from places such as the Republic Polytechnic, Marina Bay Sands theatre, Singapore Art Museum, and School of the Arts Singapore, alongside a global hotel hospitality manager, more independents and even more staff from venues who had attended on previous days. 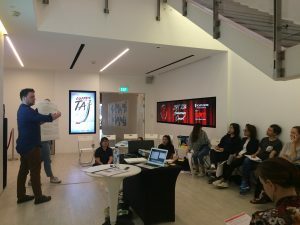 Our last workshop on day four had 15 attendees, including The Finger Players, Teater Ekamatra and a large and wonderfully enthusiastic posse from SRT’s box office and front of house team. SRT’s own Managing Director, Charlotte Nors, joined us too, having set aside the whole day to take part in the workshop – squeezing in another meeting over lunch so she could stay with us all day. What a fantastic testament to the dedication and determination she and her team are showing in their drive to improve Accessibility there. In total we met 71 participants from 23 organisations. Each brought their questions and their confusions, and generously shared their knowledge and experience for the benefit of others. 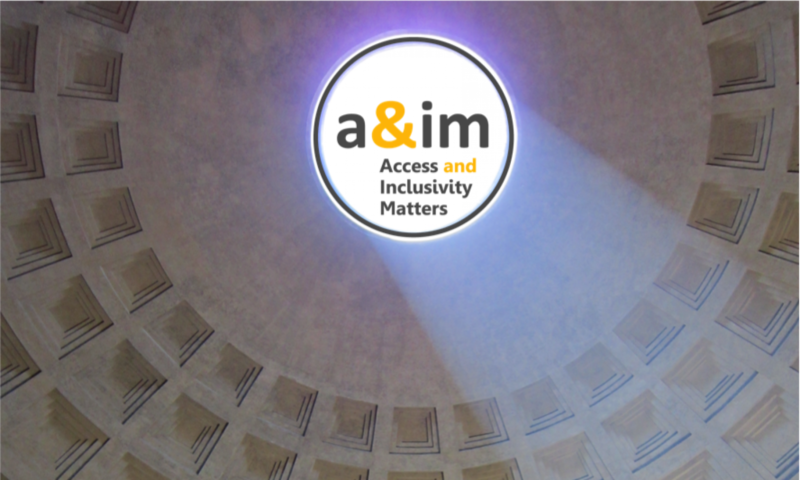 I feel very fortunate to have met so many people working on getting Accessibility right in their respective organisations. The passion and dedication to it within the Singapore arts and culture scene is palpable. 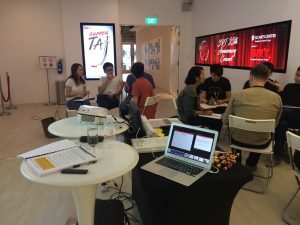 It reminded me of the Access forums I attended during my theatre career, when you couldn’t get people to stop talking about their ideas, their frustrations, their worries and their hopes. Access does that. The people who ‘do’ Access are like that. They are great people who genuinely care about getting it right, and for the right reasons. It isn’t about being patronising and it doesn’t come from pity or a desire to ‘look good’, but rather it comes from wanting to offer the best service possible for their disabled patrons and visitors, so that everyone can experience and share their passion for the arts. I’m so glad they let me join them on part of that journey.